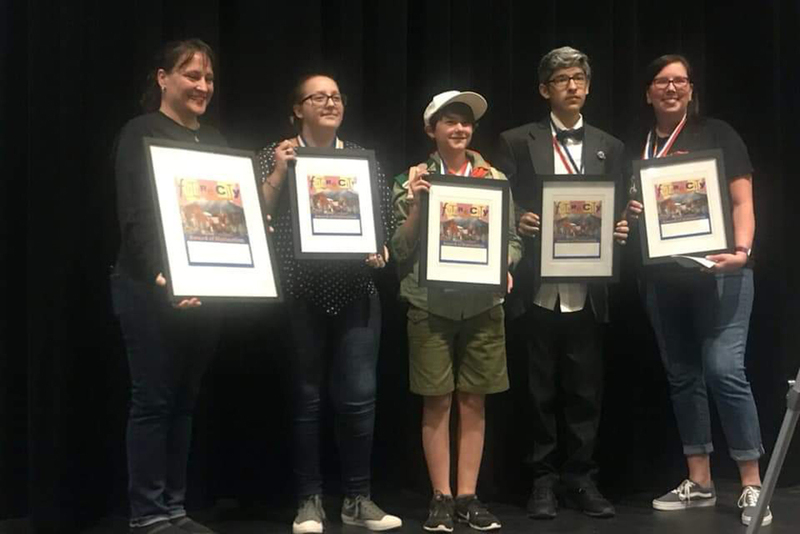 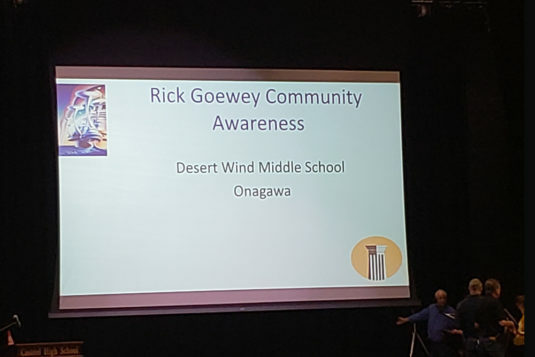 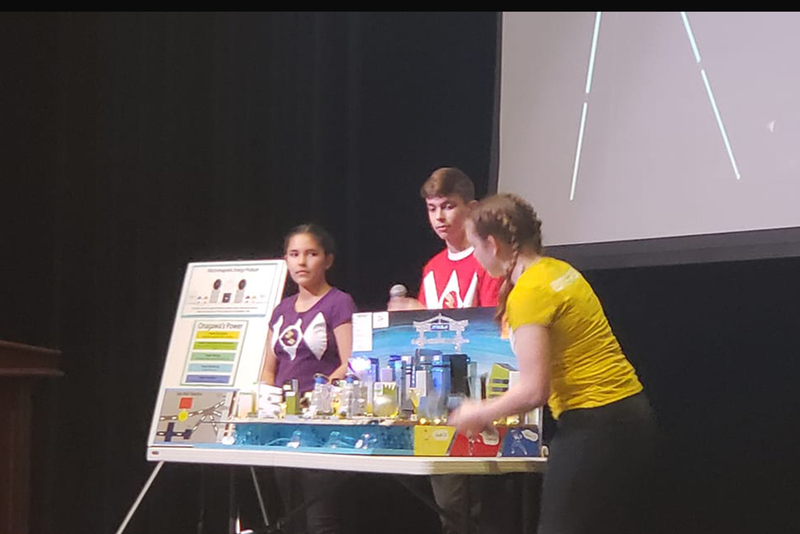 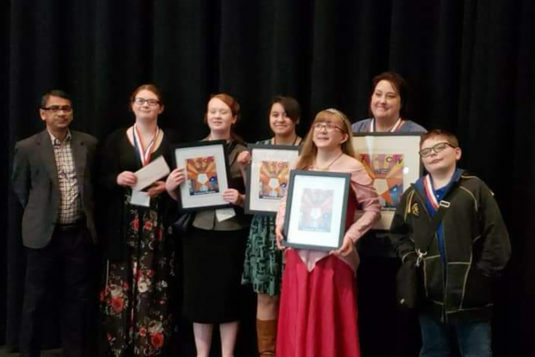 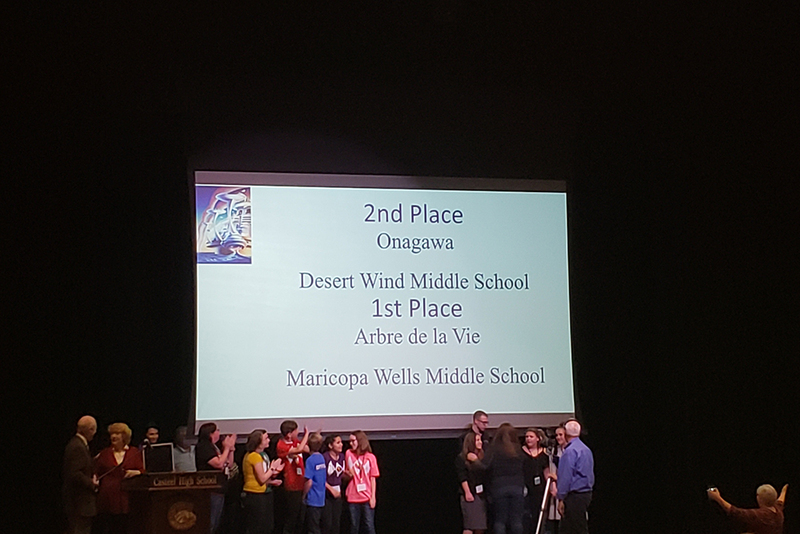 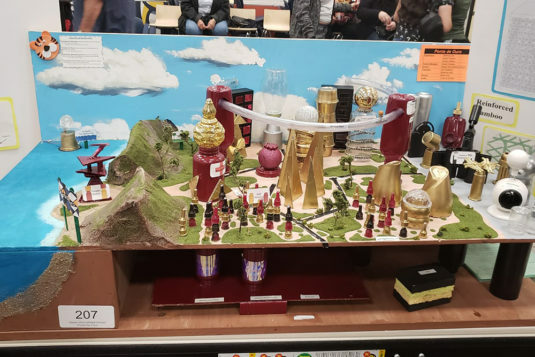 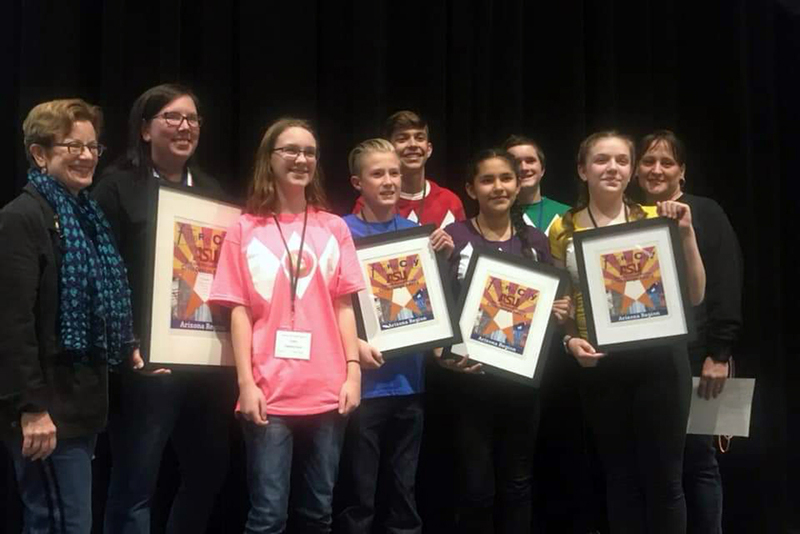 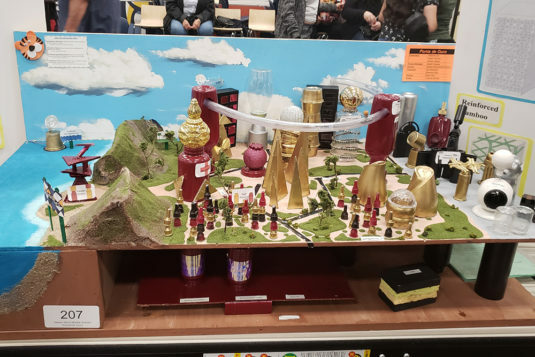 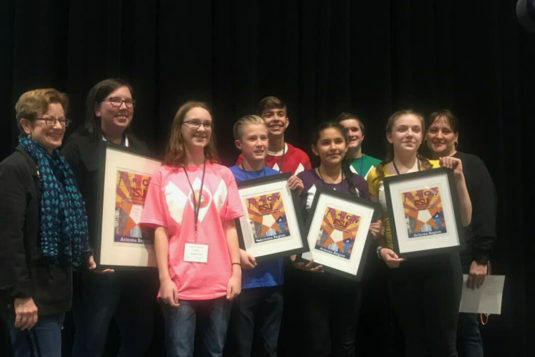 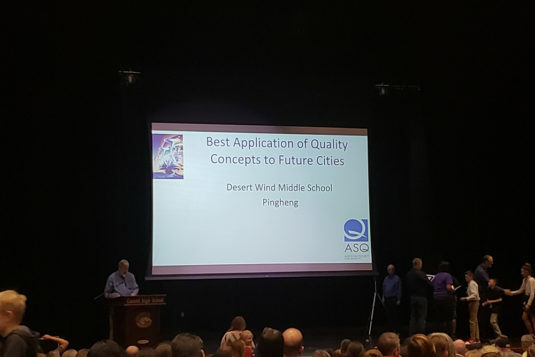 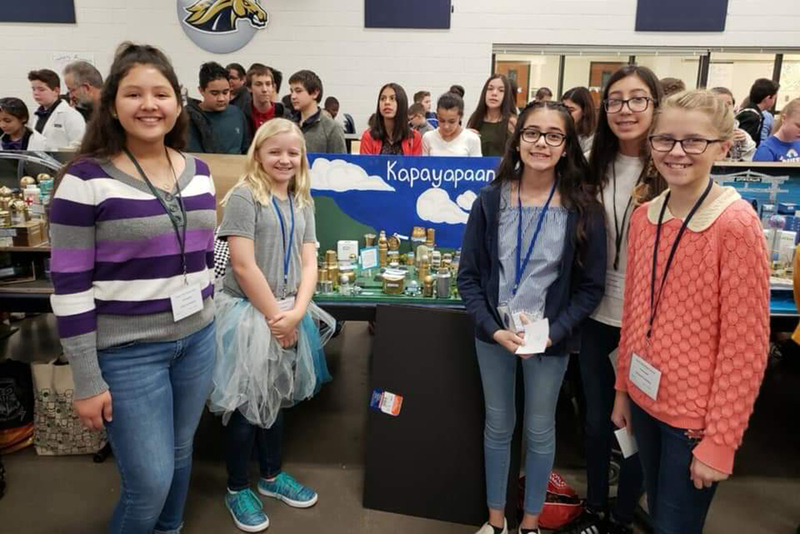 Maricopa Wells Middle School students took first place in the Arizona Regional Future City competition at Casteel High School Saturday, and Desert Wind Middle School was right behind in second place. The MWMS team, Arbre de la Vie, is now qualified to compete at the national level in Washington, D.C., in February. The team is comprised of Marley Polosky, Allison Rice and Camille Troyer, with Joseph Rice as engineer. Their teacher are Amy Hunt and Robyn Rice. 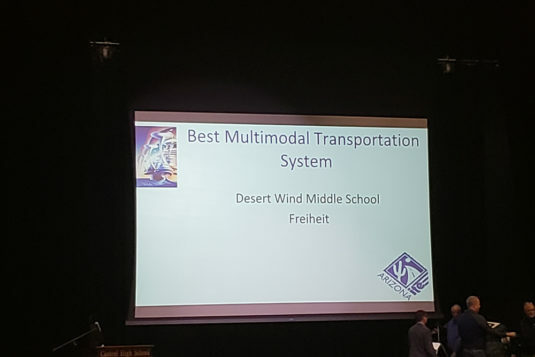 The DWMS team of Freiheit (Graci Guerra, Abigail Judd and Rachel Skousen) received the Public Choice Award and Best Multimodal Transportation System Award. 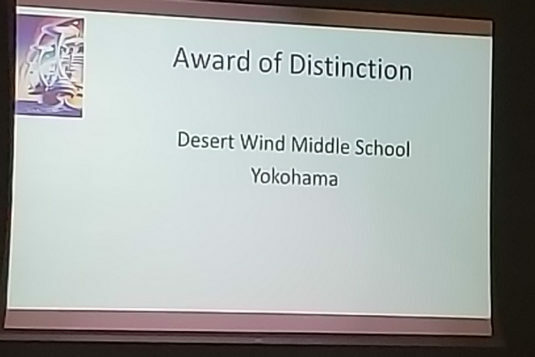 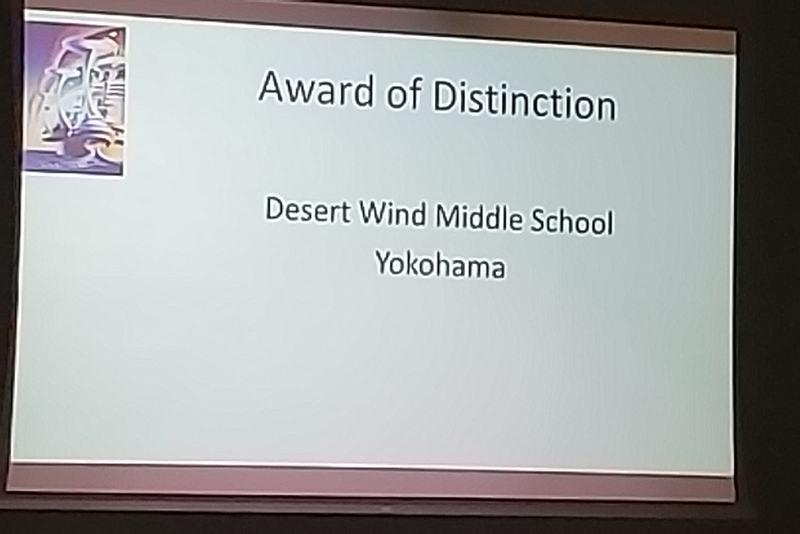 The DWMS team of Yokohama (Mara Fortunata, Baily Martinez and Christian Roman) received the Award of Distinction. 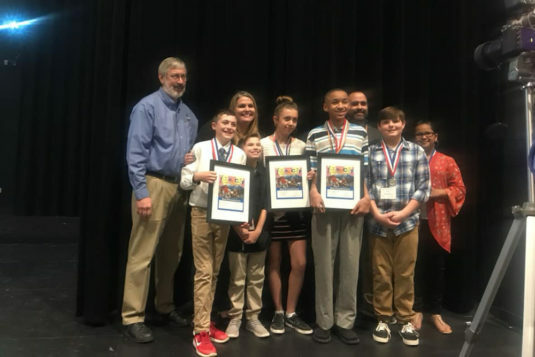 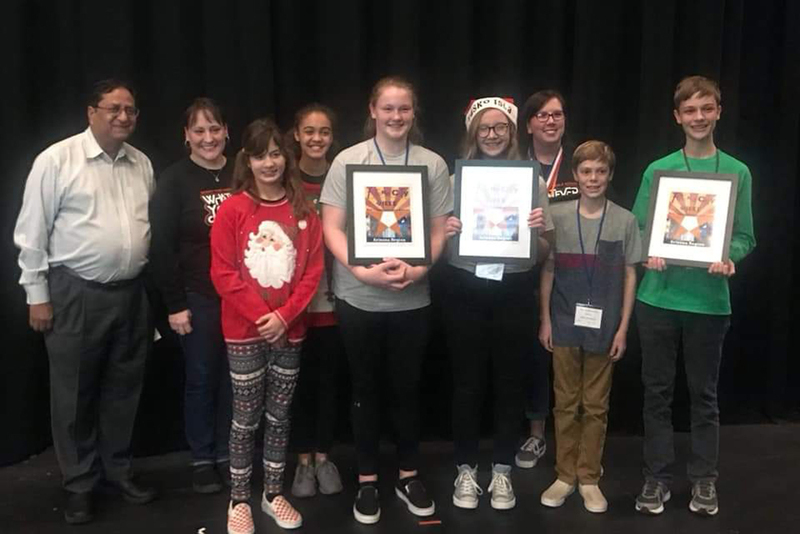 The DWMS team of Pingheng (Kya Hoskins, Joel Smith and Caeden Bolander) receivd awards for Best Team Presentation and Best Application of Quality Concepts. 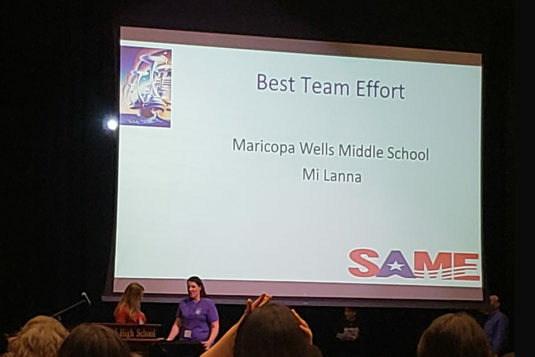 The MWMS team Mi Lanna (Elin Dayley, Aubryana Pick and Zoie Zimleman) received the award for best team effort. 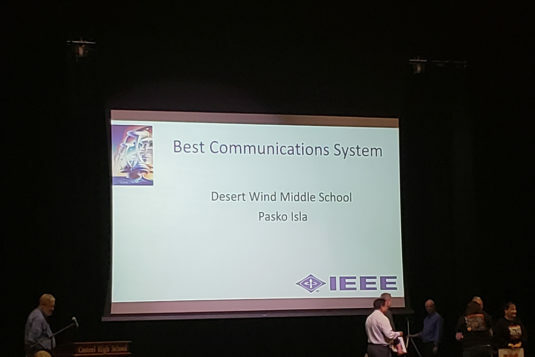 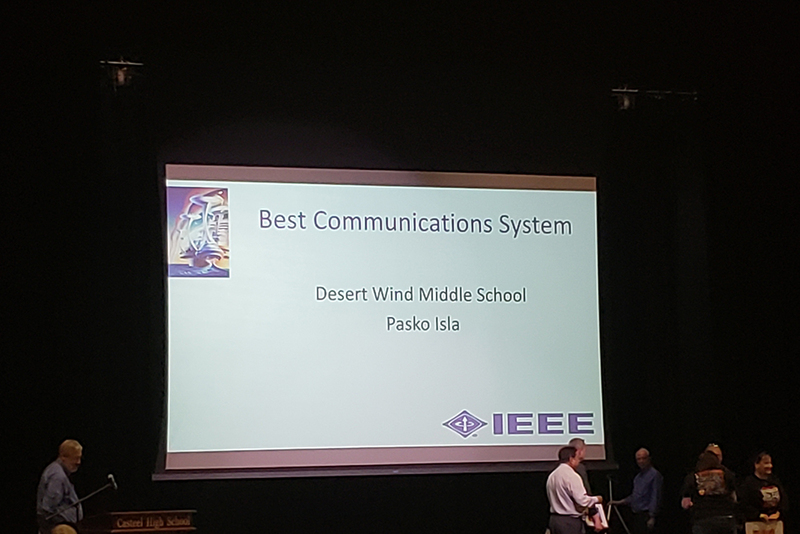 The DWMS team of Pasko Isla (Catalina Springstroh, Sadie Titus and Bryce Girouard) won the award for Best Communication System. 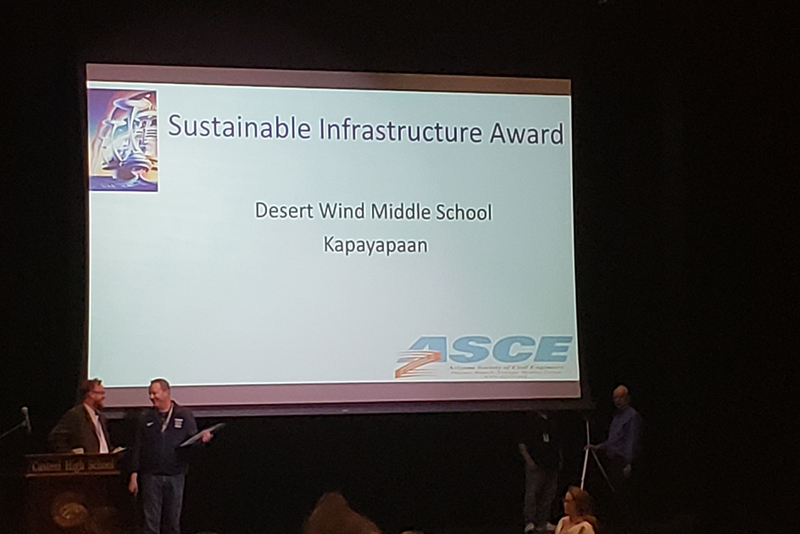 The DWMS team of Kapayapaan (Leilani Casarez, Brooklyn Stoker and America Rodarte) won the Sustainable Infrastructure Award. 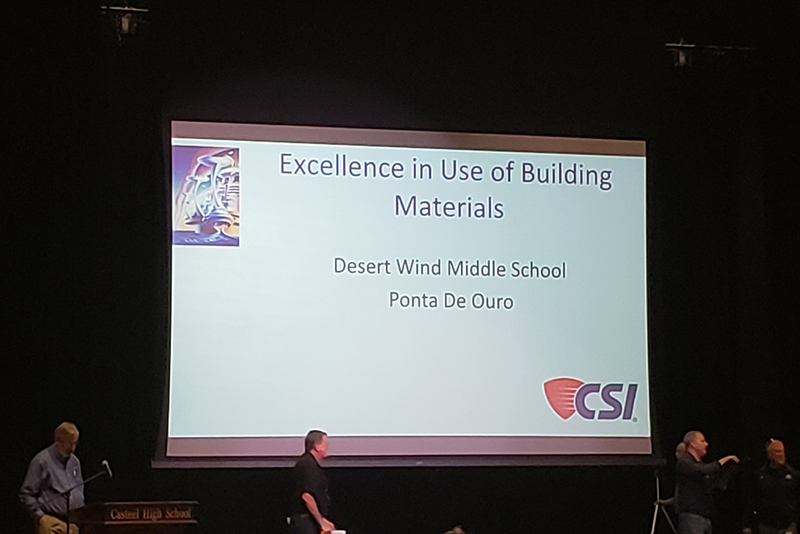 The DWMS team of Ponta De Ouro (Kayla Thomas, Kenton Wilson and Arianna Cox) received the award for Excellent Use of Building Materials.